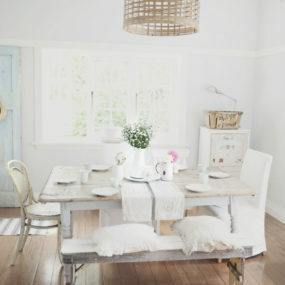 The rustic chic decorating style provides a large number of different options when it comes to redecorating your home. 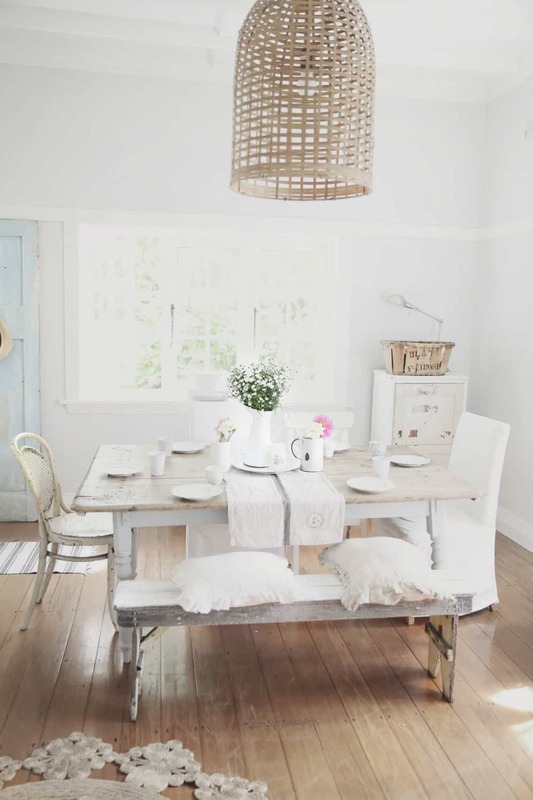 Whether you wish to add a woodsy feel or a dreamy whimsical twist adding rustic items to your home can do just that. The key to giving your home a rustic chic twist is incorporating hardwood items and making them a staple in the home. Another very appealing factor of having a rustic chic design is color pairing. Color pairing is quite easy when you have a décor style that centers around neutral tones and a few bold pieces. 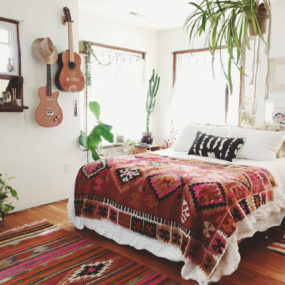 Here are a few rustic chic design ideas that will make you want to add a rustic twist to your home décor. Incorporate other wood faded furniture pieces around the room to complete the rustic look. 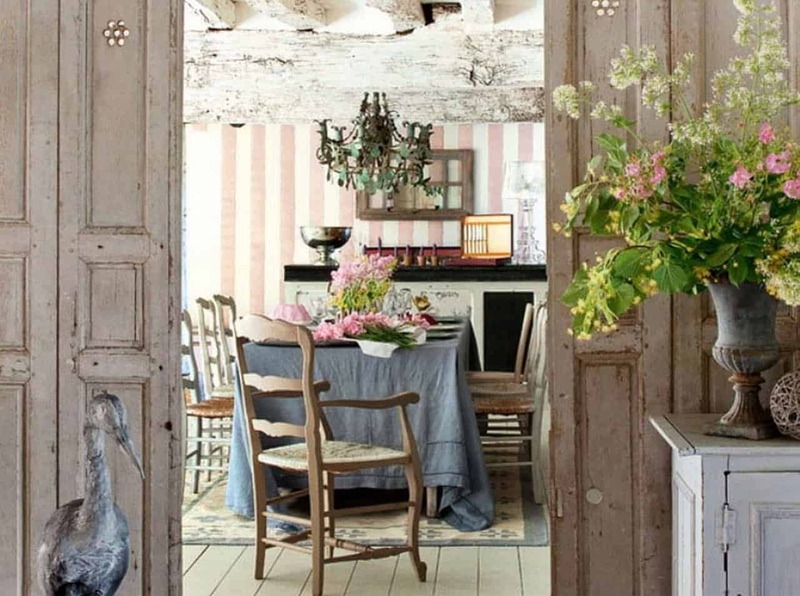 Consider using wooden faded doors as decor in the room. This will add a sense of vintage to the rustic room in a natural way. An elegant old fashion chandelier combined with a wooden faded headboard can give your bedroom the upgraded rustic vibes you seek. Combine the elegant chandelier with neutral tones in the rest of the room for the perfect elegant barn house appeal that is chic yet charming and rustic. 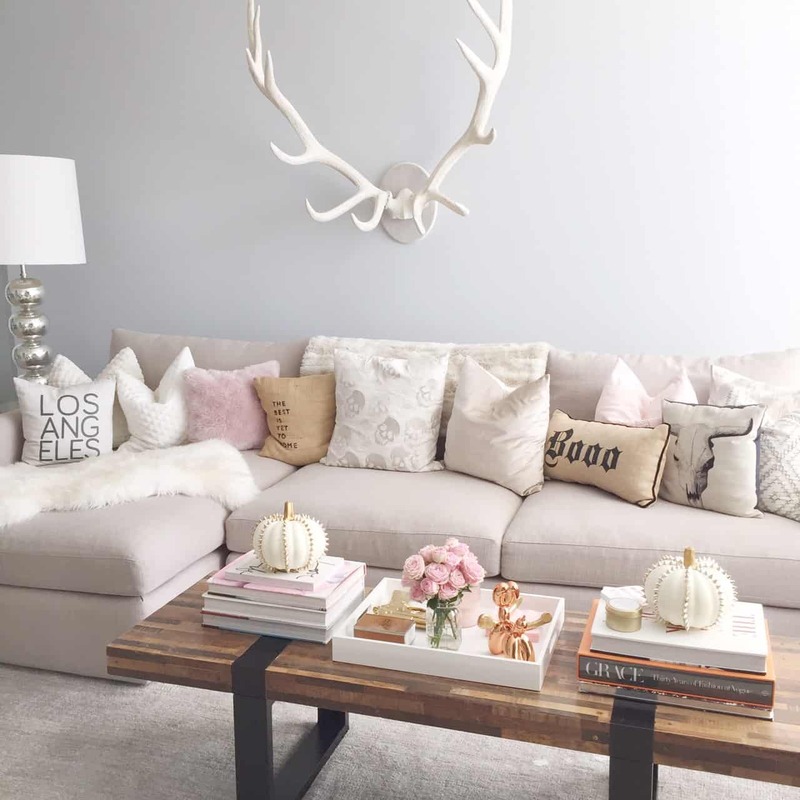 Combine white chic antlers with a faded wooden center table to offset the intricate style of the antlers. 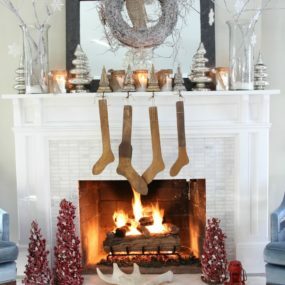 Or consider having dark wood antlers instead of white if you want to have a more rustic feel in the space. Antlers may seem like an intimidating piece to decorate with as many of them can look a little too realistic. However, when combined with a minimal design room it can make the powerful, rustic impact you seek. The key to decorating with antlers is finding the perfect pair that adds the ultimate appeal and focusing the entire space it is placed in. Also, contemplate having antlers that are painted in the colors black or white this will give them a modern look that is still rustic. Want to add a touch of elegance to your rustic chic dining table? Pair your clear chairs with neutral tone chairs. This will create the perfect combination between a rustic chic look with an elegant look. 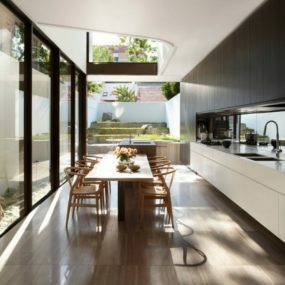 If you have a wooden kitchen table in your kitchen pair it with clear chairs. 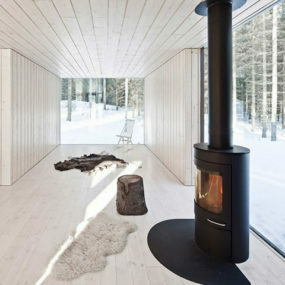 This will create a chic offset from all the wood in the room. 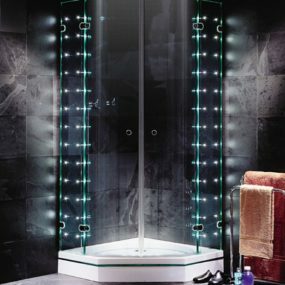 It is also a luxe way of giving a rustic chic feel to the space without having a completely wooden room. There is something very fresh yet warm about having fresh flowers in a room. In fact, contemplate having multiple different flowers in the home to create a barn like appeal throughout the entire space. Fresh flowers are a must have when you are decorating your home with a woodsy feel. They add the perfect balance between country side elegance and rustic chic. Consider having neutral tone flowers in every area of the home in order to break down your color palette. When choosing your large wall piece use pieces of decorative items that enhance the room. 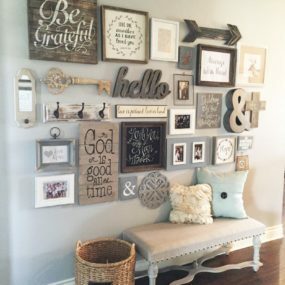 You want a larger wall piece to be big enough that it is visually appealing, but also rustic enough that it helps bring the entire decor together.Go big or go home is the perfect way to describe having an oversized wall piece. 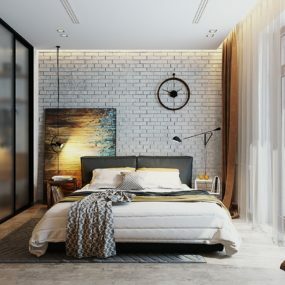 An oversized wall piece is exactly what you want when you have smaller, minimal décor all over the room. A big wall piece is a perfect excuse to have a large focus piece in a room. Consider placing it on a wall that is empty or filled with smaller trinkets. Change up the typical brown tones in your room for a cool slate of gray. Gray is the new rustic tone. It is versatile yet rich enough to compete with the warmth of the color brown. Add hardwood as a backdrop behind your bed in cool gray for the ultimate rustic feel without having to incorporate rich, dark brown tones. 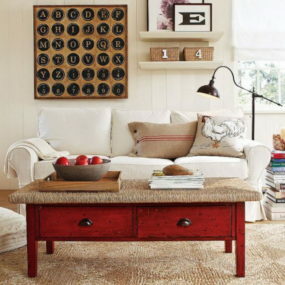 If you can’t quite figure out how to include a pop of color into your decorative space paint your wooden coffee table. Wooden coffee tables can be painted in multiple different colors which is part of their beauty. In fact, they are so easy to paint you may contemplate painting it a new color every season or year. Although, in a rustic, chic interior you will generally use dark, warm tones and deep grays you also want to include pops of bold colors. 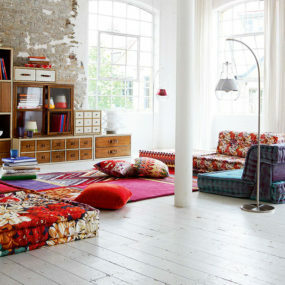 Doing so will help pull together the entire look without incorporating multiple different color scheme into the space. 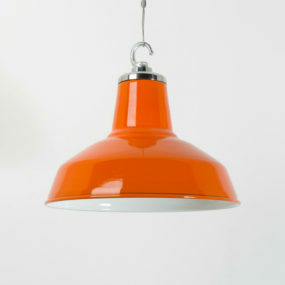 Choose colors such as red, navy, orange and yellow for the ultimate pop of color. A wooden table does not only have to become part of your living room space. A wooden table can be placed anywhere in the home as they are easy to decorate with and can be painted to match your decor. There is something about having a wooden coffee table in your living room with a rug underneath that gives a warm feel to the room. It brings an outdoorsy vibe to the room that is hard to duplicate. 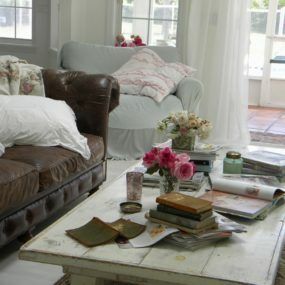 Get creative and make your own wooden coffee table or use an old suitcase instead to create a vintage feel in the room. Wicker accents can be used everywhere in the home, including being part of your lighting. The idea is to get a chandelier that is small enough that it can be covered in wicker accents. If you are not fond of wood or wooden décor items, but still want to have a rustic chic home use wicker accents as an alternative. Wicker accents pair well with all rustic décor because of how similar it is to hardwood. However, it is easy to hang if you would like to have wicker accents on the wall or hanging. Your exposed brick wall does not have to be mahogany instead it can be painted to match the rest of your decor. 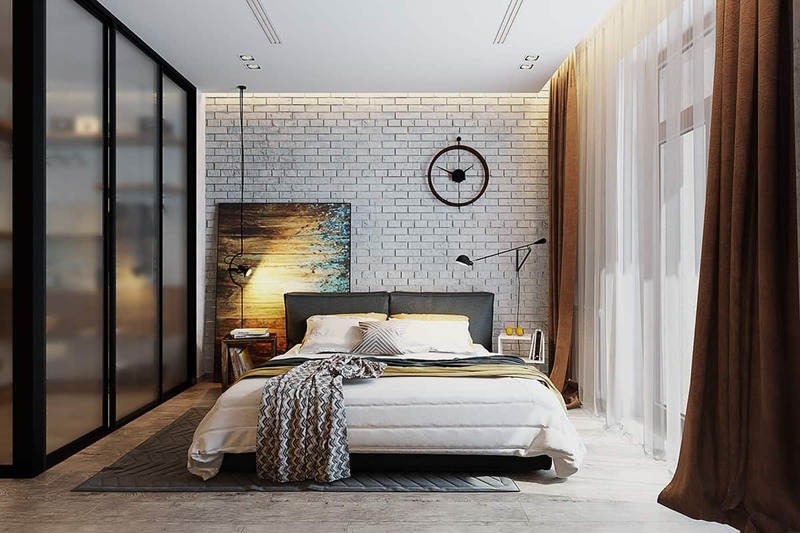 The idea is to have a brick wall the gives the room the openness and rustic feel you seek. Having an exposed brick wall helps bring the outdoors directly indoors. It is the perfect balance in a rustic room as it adds a touch of coziness and warmth to the space. 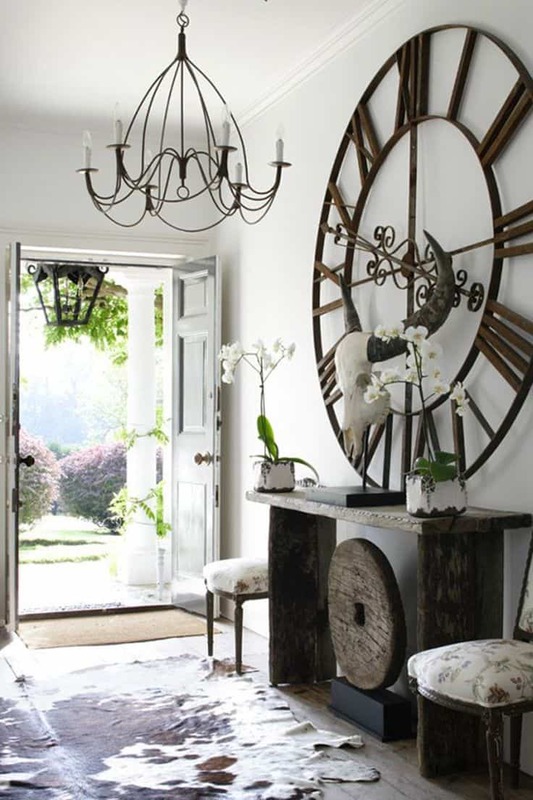 Decorate the exposed brick with bold pieces such as an old clock or oversized wall décor. Contemplate using one or more of these rustic chic ideas to create the perfect décor for every room in your home. 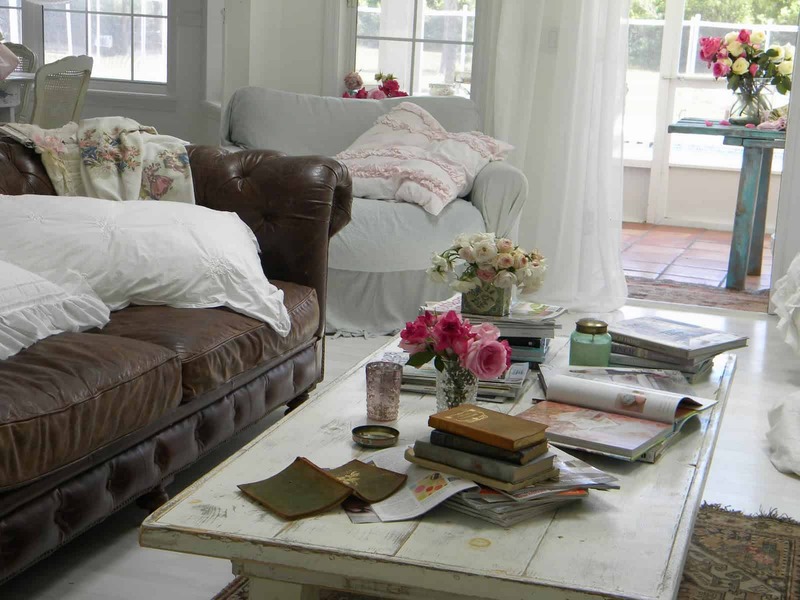 Let us know which rustic chic décor idea you would like to incorporate into your home.